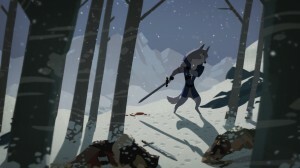 We found this, once again, thanks to our friends over at CartoonBrew.com: An independent game development crew from Australia known as The League of Geeks have announced their first game, Armello. Described as a “natively-digital card and board game set in a fairy-tale animal kingdom”, it’s scheduled to be released for tablet devices in 2013. In the meantime though, the League of Geeks collaborated with the Melbourne-based animation house known as 12 Field to create an animated teaser trailer for the game. Check this thing out on Cartoon Brew, or visit the Armello web site to get updates about the game’s development and release.